This section contains a digital image of one of the latest contest certificates I've received to show what can be won with minimal QRP, a CW Contest Calendar, tips for successful QRP contesting, stories of some of my contests, a contesting 'Honor Roll' paying tribute to the great contesters, a results page that shows my recent contest results, awards, and best results from each different contest, and a QRP sprints page that lists links to info on the various weekday QRP sprints that are too numerous to keep track of in the regular calendars. The results page should give you some idea what to expect from your contesting efforts if you run minimal QRP as I do. Naturally, those QRPers with big antenna farms and better locations will have better results. IMPORTANT CALENDAR INFORMATION: Because of the volatile nature of contest links, I have given up listing detailed contest information. I now have just a listing of big and/or favorite contests for each month on one page. If you want further info on contests, see the WA7BNM contest calendar. There is a link to it on the calendar page. 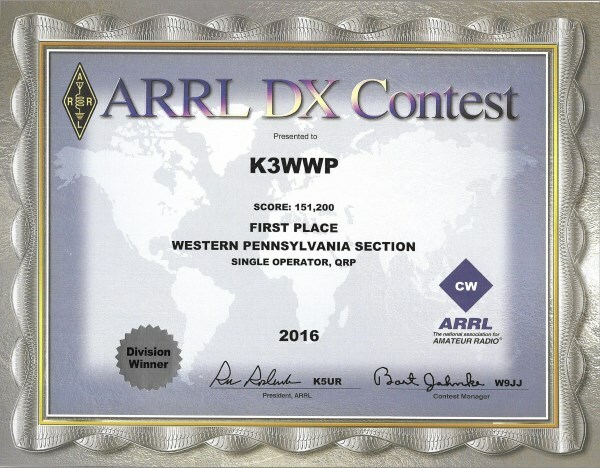 Since my web site exists to promote the use of CW on the ham bands, my calendar lists only contests that involve CW operation. You'll not find any SSB-only, PSK-only, etc. contests listed here.